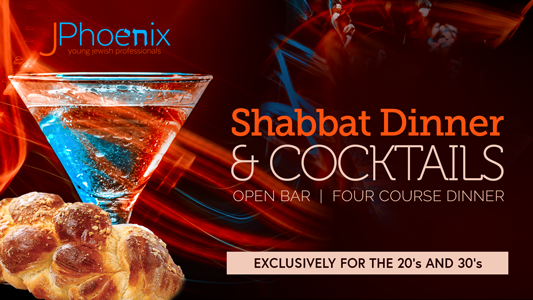 Join Young Jewish Professionals in Phoenix for a delicious Friday Night Dinner. Connect, dine and network with Young Jewish Professionals (20's and 30's) in the area. 7:00pm - Cocktails and Appetizers | In Paradise Valley!